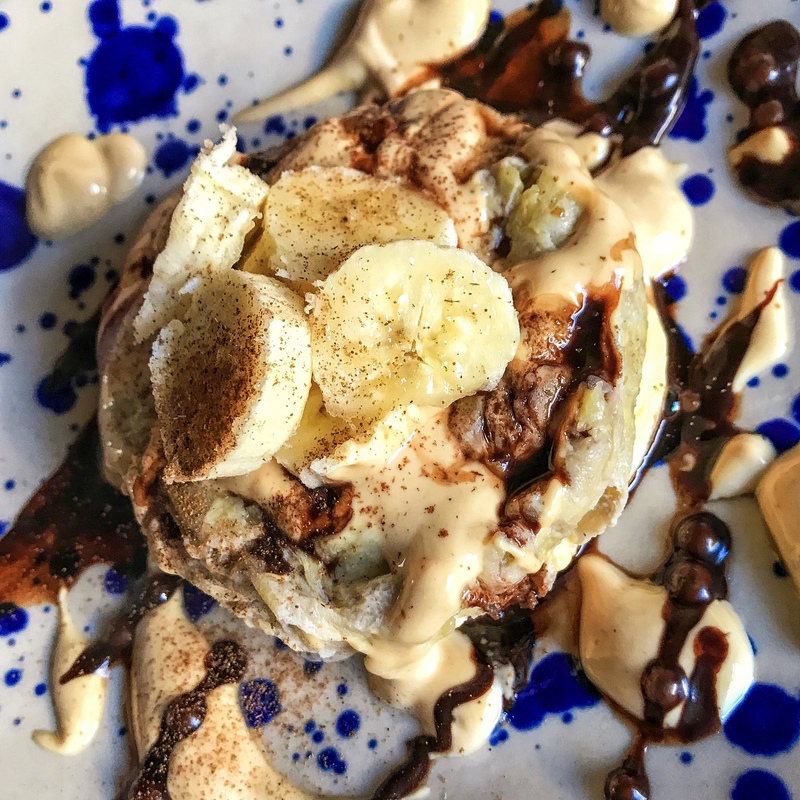 Always keen to try new ways to jazz up banana pancakes, I thought the peanut butter and chocolate combo would work a treat and I have to say, I was definitely right. I love these little pancakes as they feel so indulgent and yet they are only 1sp per portion. So whether you are making these for pancake day, as breakfast or for a snack they will be sure to hit the spot! In a large bowl mix together the mashed banana and beaten eggs. Take a large frying pan, spray with low cal spray and warm to a high heat. Using a ladle, drop a sixth of the mixture into one corner of the pan. The pancake should be around the size of a large mug and quite thin. Cook each on one side for 1-2 minutes and then flip quickly using a spatula (you need to be quick with this otherwise you risk the pancakes falling apart a little) and then cook on the other side for 1-2 minutes. Remove from the pan, pop on a plate and repeat with the remaining 3 pancakes. Mix the PB2 with the yoghurt and drizzle over the Pancakes. Finish with a drizzle of choc shot (1 tsp per person), a sprinkle of cinnamon and any extra fruit you fancy. I have never been able to flip these, I stick them under the grill instead.